Few more questions: 1. How long will it take to sell L$ at the exchange rate of L$250/USD$1 on these days ? 2. If it take too many days, what would be the best rate you recommend to sell L$s that take only one to two days? 3. 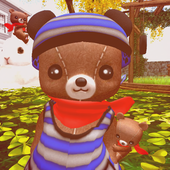 On the sell page https://secondlife.com/my/lindex/sell.php?lang=en-US you see today best sell rate is L$252/US$1. But on the market data page https://secondlife.com/my/lindex/market.php you see that amount mentioned as best buying rate. Why they mention the same rate as "best selling rate" at one page and "best buying rate" in another? 4. During the last 90 days, I can't see anyone sold higher rate than L$250/US$1 in the table or on the graph. https://gyazo.com/a86c4c9e26d6e7d004877e2ee5780ef8 But the table on the "sell" page shows that some sold higher rates as L$233/US$1. Is that means the sell page shows the data older than 90 days? Any kind of answers will be useful as well as I hope those who experienced in selling L$s in LindeX will answer in here too. Thanks a lot for any support. What's the most sought after land size? I got bad news about my job just before Christmas. I am not unemployed, but I must plan for the future since it is uncertain, and that mean pulling my alts from Premium and keep only myself and maybe 1 alt Premium. I can slice my land up and sell, but what is the most sought after land sizes? Will I benefit financially from dividing a 6752m in 2 or 3 or maybe 6 parts? The odd number is because I have six alts that donate to group. Is land sizes for groups in demand, or is it just stupid to divide the land and include the group bonus? Like 1126 instead of 1024? Or should I just set land to 1024 or 2048 and some small parcels like 204 there so a group can buy both? The land is good, between protected road and protected water with direct access to a large mainland sea. Greetings everyone, this is my first topic and i'm glad to be part of this helpful community. I'm fairly new on SL but i tried my best to understand how it works so far. My simple question is: Is it possible to Dmca an item that isn't sold anymore on the marketplace? 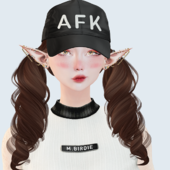 I've seen many people going around using ripped mesh avatars from other videogames and i was wondering if the original creators (in this case the companies) could still file a dmca towards these sellers even tho they are not seeling the items itself anymore on their MP store. Thank you. My gacha items have been unlisted due to multiple item reports. What is the proper way to list limited stock items in a single listing? How do I create Prim Babies and Sell them? Hello! So i'm trying to create a prim baby but I don't know wich programs I should use to create them with, I already have blender and makehuman but I'm not completly sure if it will work with the game, I need to find a script too, so if anyone has experience with prim babies please help ! Can I use different name for Re-Sell Gacha Items ? Hello, I would like to re sell one of my rare gacha Item. Its name is "JIAN :: Floofy Felines - Companion Kitty (RARE)" I bought it long ago from inworld gatcha machine for 50L$ and I won the rare item. Now it re-selling around 375L$ in marketplace by others, so we can understand the creator allows it to be re sell. So my question is , do I have to use the exact name as "JIAN :: Floofy Felines - Companion Kitty (RARE)" to re sell that item in marketplace ? Or can i use different name such as "Jian Black Cat - a kitty will follow your avatar" and mention it as gacha item and its real name in item description? Thanks for answering. hey, I wanna sell my lindens to withdraw to my paypal account, but my limit is 0,00, why? how can i increase my limit? How much is 1L$ worth? I have L$ 30 so far......I don't plan on buying any L$, but I want to sell them. How many more L$ do I need? Oh! and about how many USD do I have? Hello everyone, I'm planning to setup a marketplace store. Just want to ask what do you use for creating a demo version? Like... having an avatar shape labelled/tattooed with a big DEMO on its body. I am selling my DeadDog Homestead region for 150 usd. It is a Buy Down region. Tier date is on the 19th of the month. I will pay 100 usd transfer fee. The Sim has to be moved and renamed. IM me for more details if needed.